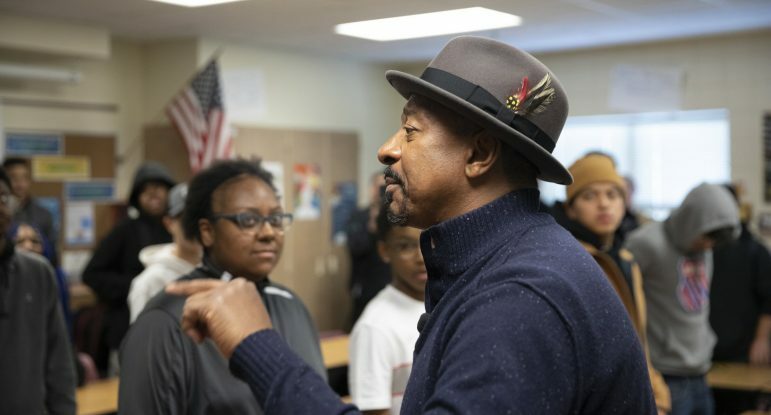 Using his own filmmaking experience as a lesson in how it’s done, director, actor and comedian Robert Townsend offered encouraging news for Black filmmaking hopefuls during his visit to the Twin Cities last weekend: The barriers are fewer and the prospects better now than when he struggled for a break. 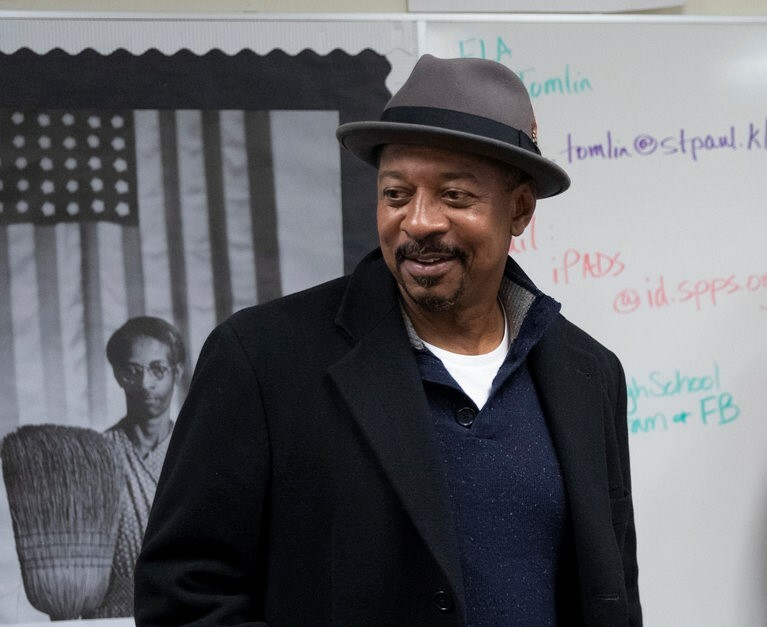 Townsend came to kick off the inaugural “CHOICE Cinema Series: In the Footsteps of Gordon Parks” with stops throughout Minneapolis and St. Paul honoring Parks’ legacy and talking about the art of Black filmmaking. The new series is set to feature a rotating roster of works by Black filmmakers highlighting the Black experience. Townsend said he came to the Twin Cities to inspire confidence in local filmmakers. “I’m just a drop in the waterfall,” said Townsend of his efforts to bring the film world’s attention to more Black stories and storytellers. “Together, more Black creators can pitch in and tip the accumulation of stereotypical characters toward a waterfall of more nuanced portrayals,” he said to a predominantly Black crowd Saturday afternoon at St. Anthony Main Theatre. It was his last stop on a weekend tour that included a screening of his 1991 The Five Heartbeats, several inspirational school visits, and a meet-up with St. Paul Mayor Melvin Carter. Townsend closed it out with a screening of Making The Five Heartbeats. The documentary chronicles his journey writing, producing, selling, acting and, most prominently, directing the film that has become a permanent fixture in Black pop culture. It also shows how the movie almost never got off the ground. Fresh off his auteur debut directing and starring in Hollywood Shuffle (1987) about the Black actor’s dilemma of having no work or demeaning work, Townsend was a hot commodity with plenty of Hollywood capital. Yet, he couldn’t get The Five Heartbeats picked up by a studio for nearly five years because executives didn’t think this Black-heavy movie would sell. The documentary takes the viewer through the highs and lows of each step of the filmmaking process, talking at length about writing with partner Keenan Ivory Wayans, conversing with people who held the green light switch in the late ‘80s about casting, directing and selling the finished movie to the public. When it did finally make it to theaters, the film didn’t do well at the box office. A few weeks before its release there were shootings at showings of New Jack City, a movie about Black drug dealers. 20th Century Fox reacted by selling Heartbeats as harmlessly Black as possible, Townsend’s documentary contends — as a not gritty but balanced Black-man-in-the-’60s-music-business drama. The previews made the movie look like a really expensive karaoke celebration of the Temptations. It looked boring. No one went to the theaters. But the movie had a second life on the secondary, VHS, then DVD markets. Now it may even be turned into a Broadway musical. The Five Heartbeats served as a passion project on two fronts: Townsend loved the Temptations, and he wanted to make a movie led by Black men portraying flawed, glorious characters that weren’t negative stereotypes. Townsend’s career is built on his passion and his knack for finding alternative routes to telling his story when obstacles blocked his path. In the fifth grade, when Townsend was assigned a lesson in Shakespeare, he went to the library and stole Royal Shakespeare Company vinyls under his shirt and listened to them so many times he’d memorized the lines. “I’m a street kid… I take all the Shakespeare records home,” said Townsend, getting up from his director chair to act out his prepubescent panic to get his hands on Shakespeare records. Come class time, his classmates, who couldn’t care less, barely read the lines. Townsend delivered them in an English accent. He’d also sometimes pretend his life was in “French subtitles,” like the French movies he had become obsessed with, sparking the ire of his single mother by only responding to her with vaguely recognizable French melodramatic nonsense. As a young adult, he began acting on stage and in commercials. When he became frustrated with a lack of good opportunities to jumpstart his career, he took a swing on a project about his frustrations. Hollywood Shuffle was shot in 12 days. It was funded entirely by Townsend, who said he spent $60,000 cash and put $40,000 on credit cards. Townsend joked about getting locations for free by filming without a permit and avoiding the cops, and how he thinks he still directs fast because he’s always subconsciously avoiding police. While Black filmmaking has its added obstacles, you never know who is going to help along the way, noted Townsend. “When I think in terms of color and all of that, there’s a lot of people that don’t look like me that have helped me a lot,” said Townsend. Townsend said Black filmmakers and actors don’t have as many barriers as when he started. Fielding questions about the post-Black Panther movie business, Townsend said there are now better Black parts and more Black bosses like Ryan Coogler, Ava Duvernay, Barry Jenkins and Jordan Peele. I’m really glad that Robert made this trip to the Twin Cities. I’m from St. Paul and was the Assoc. Producer / Location Mgr. on the Five Heartbeats. The African-American community in St. Paul needs to see contemporary people up close and personal. Thanks to Robin Hickman this was good for my hometown.